Hi, my name is Adrienne Williamson and I have been a resident of the Fort Worth, Texas area since I was 10 years old. I have been an artist in one way or another all of my life, drawing and painting has been my favorite thing to do ever since I could remember. I received my first sewing lesson at age five, complete with my own sewing machine. And I remember countless hours sitting next to my grandmas learning other handcrafts, but particularly crochet. 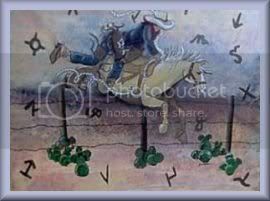 Living in Fort Worth, I was a western artist for several years, so occasionally you will see some western or Texas Folk art offered in the adults section. Cowboys and Cowgirls painted on glass and home decor. Here you will find custom hand painted out-of-the-ordinary embellished overalls and other hand painted denim sets and separates for boys and girls, fun original lounge wear and play wear for children and adults, custom painted glass, and hand painted furniture, wall art and room decor for all ages. I have just begun to paint clothing for pageant customers. I am pretty excited about this, as my clients keep coming back for more, because they are winning in my custom painted clothing! Aside from painting, I will occasionally showcase some of my gorgeous handwoven rugs made with wools and/or cottons and other fibers. 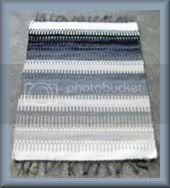 I have been sewing, crocheting, knitting, spinning and weaving since a very young age. I use many vintage and trendy textiles, fabrics, and linens, and other materials of the highest quality for both my children's clothing line and my hand woven home decor line. Nothing here is mass produced - each item is lovingly hand painted or woven and custom hand made especially for you at the time of purchase. Many people ask me how I came up with my business name. 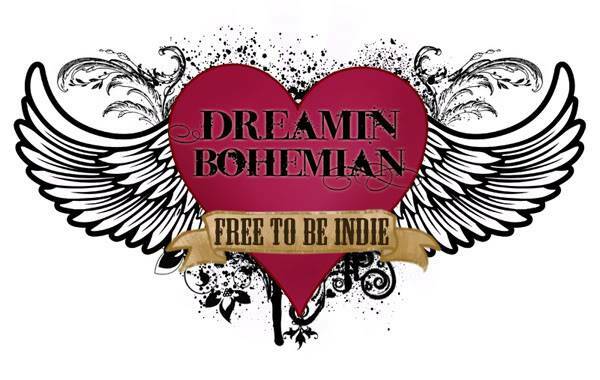 Dreamin'Bohemian. Well my father's mom was Bohemian, and she was so inspiring to me, from her cooking, to her crochet and other handwork. My mother was an art student in college as well, and many members of my family have that artistic ability. Each item you purchase from me will come with its individual care instructions for washing. The clothing is washable with a mild detergent. Please turn the clothing inside out, and wash on cold, and line dry or lay flat. Do not place in the dryer, for this can and will destroy some of the paints and trims I use. For handpainted glass, handwashing is recommended. The paints are heatset on the glass, but if left in the washing machine in the moist heat, it has been known to remove some of the paint.